Maybe this week’s viral Laurel/Yanny episode can finally help explain how it is that some people listening to a certain Donald hear a purported President speak, while others more correctly hear a venal Demagogue blathering. All the runner-up essays HERE. 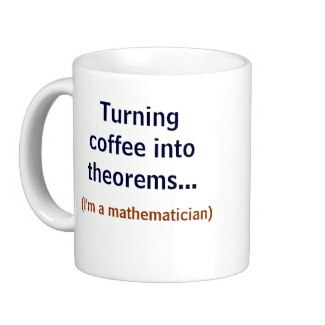 I will no longer routinely include some of the best-known, most prolific/frequent and favorite math writers out there for the Friday listings on the assumption that readers are already following them, and it may be redundant for me to cite them on Friday if they are already well-linked to. (they will still be in my Twitter feed and sometimes in Math-Frolic posts). Similarly, the growing arena of videos and podcasts is beyond what I can keep up with and hope readers have by now latched onto their favorites. I continue to love 3Blue1Brown, Mathologer, Numberphile, Infinite Series, and others, but won’t automatically cite them on Fridays, since they get plenty of buzz without me piling on (I may call attention to newer/lesser-known ones that come along). Statistics (and research methodology) is such a significant branch of math these days that I may(?) continue to cite some of Andrew Gelman’s very prolific posts, because he is so often accessible to a general audience and is one of only a handful of statisticians I follow regularly. And I WILL continue to cite, on Fridays, bloggers who, while well-known, are less prolific (generally posting once or less per month). I may also continue to cite pieces from Quanta Magazine which, even though now widely-cited, derive from a stable of fantastic writers, no one of whom is all that frequent (again though, if say an Erica Klarreich post comes out on Tues. and by Friday I've seen it cited innumerable times, I may assume readers here don't need me mentioning it). All of this will allow me to spend slightly less time on the potpourri, keep it perhaps a little briefer and less redundant, focusing on interesting pieces readers may actually have missed through the week over pieces that get extensively publicized across social media. None of these are hard-and-fast rules, but just new rough guidelines. 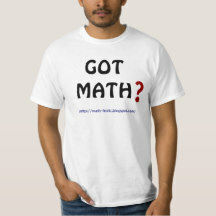 Friday may be money-laundering day at the White House, but at MathTango it’s math-potpourri day. Am trying something ever-so-slightly different this week and next, for the potpourri (you may well notice no difference), and will explain later, if I decide to make the change permanent. In any event, with or without any changes, you have assurances from my personal physician Vinnie Boom-Bornstein, that this blog will continue to be “astonishingly excellent,” and he also notes that at a slim & trim 6’6” and 175 lbs. of taut, lean, striated musculature I am likely the healthiest blogger in the blog-o-sphere (though adding a little Propecia to my daily routine might be in order)….